Entregent – interpersonal or social skills; social interaction; a capacity for social interaction; socialising, mingling; networking. Tatou tatou e – Be amongst us all! "Envy was once considered to be one of the seven deadly sins before it became one of the most admired virtues under its new name, 'social justice.'" What did the flower say after he told a joke? I was just pollen your leg! Why do flowers always drive so fast? They put the petal to the metal. What do you call flowers who are bffs? Did you hear about the flower who never bloomed? It was a bud omen. Did you hear about the flower who joined Tinder? He just wants somebudy to love. Did you hear about the lazy flower who finally got his act together? He just needed a kick in the bud. Did you hear about the flower who gave an ultimatum to her husband? She told him once and floral. What does a flower therapist ask her patients? New Zealand is, as Geoffrey Palmer once noted, a very pluvial country. We are blessed with a bountiful supply of water and contrary to the doom merchants who think we don’t have enough, all but 2% of it flows from its source to the sea.
. . . 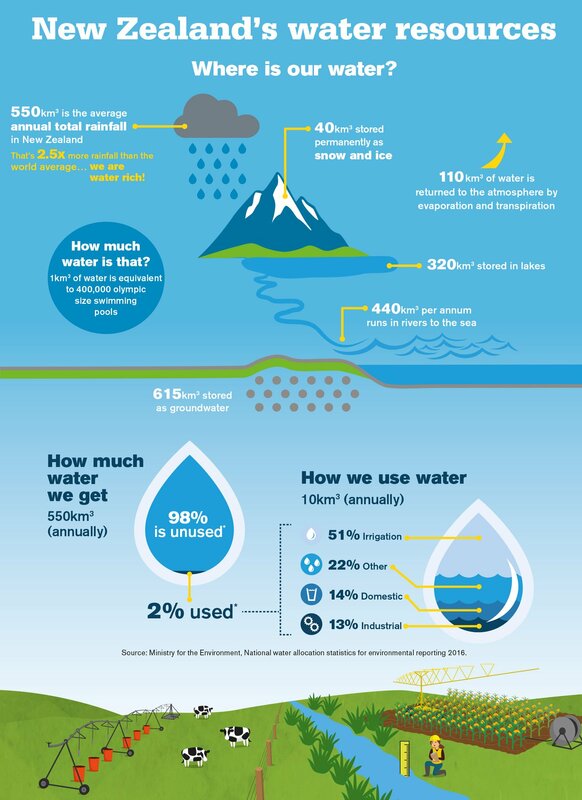 In New Zealand the biggest consented water use is hydro-electricity generation. This uses about five times more water than all other water uses combined. The next biggest user is irrigation. Worldwide irrigation grows 40% of the world’s food on 20% of the world’s agricultural land, and here in New Zealand irrigation also plays an important role in food production. New Zealand is very fortunate to have plentiful supplies of freshwater when compared with other countries worldwide. You are currently browsing the Homepaddock blog archives for the day Saturday, March 23rd, 2019.